Planetary scientists at UNLV study processes on other planets including Mars, Mercury, and the asteroid belt. The research within the Planetary Sciences group covers many different approaches. 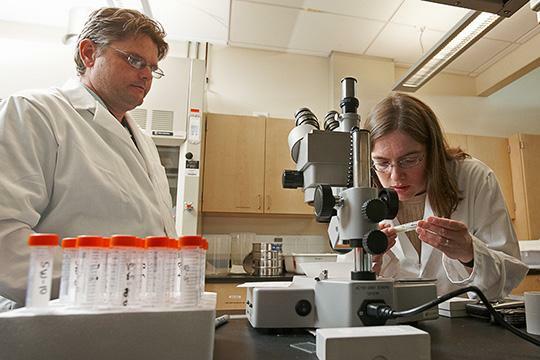 While some of our faculty study planetary samples, such as meteorites, to explore magmatism and shock processes on extraterrestrial bodies, some investigate surface weathering and the potential for life on Mars using laboratory work and terrestrial analogs. We also study potential habitability and biosignature generation and preservation with reference to seeking signs of life on other planets. Astrobiology is the study of the origin, evolution, distribution, and future of life in the universe. Faculty at UNLV use a combination of field, laboratory and modeling approaches to examine these topics. In particular, we examine interactions between water and minerals, the impact of life on those interactions and the potential formation of biosignatures, and the implications of water:rock interactions for potentially habitable environments. Meteorites and samples from other planets and planetesimals, such as Mars and asteroids, can help answer questions about planetary bodies that orbiters, landers, and rovers can’t. Chondrites, undifferentiated meteorites, did not undergo parental body differentiation process; hence, they preserve the information of early Solar System. Meteorites can be investigated in a similar fashion as any terrestrial samples using the same instruments in order to better understand magmatism and evolution of their parent body. Some meteorites can also be analogs for understudied planets, such as Mercury, which we do not have samples from. Using data from the dozens of flyby, orbiter, and lander missions sent through our solar system, UNLV Geoscience faculty and students are exploring surface processes of planets and moons. Recent and ongoing studies include determining clay minerals on Mars and implications for habitability, the potential availability of phosphate in past martian aqueous environments, the effects of brines and organic acids on mineral dissolution and implications for habitability, the effects shock on Mars relevant minerals, synthesis of Mars relevant minerals, and glacial and icy terrestrial environments as analogs for potentially habitable environments on Mars. These investigations are leading us toward a better understanding of, not only the surface and environmental evolution of other planets, but also our own planet. Asteroid impact and collisions of planetary bodies have played a crucial role in formation of planets and moons and has affected virtually all meteorites. The energy of these processes covers a wide range from micro-impacts on the lunar surface to large scale melting or fragmentation events such as the moon-forming event. 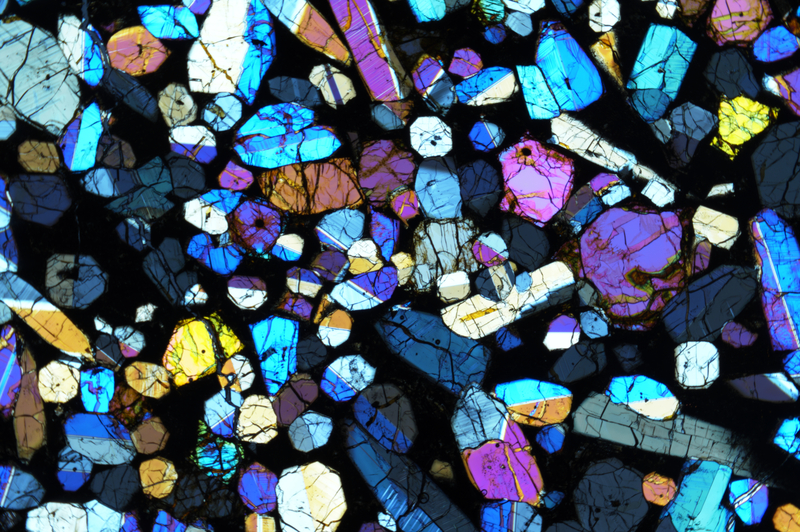 Shock metamorphism of solid rocks and sediments has been identified on all terrestrial planets, moons, and meteorites and ranges from mechanical deformation to phase transitions such as formation of high-pressure phases to melting and vaporization.